Send gift cards to any email address by clicking Send to Friend below - To send to yourself simply select your amount and checkout. 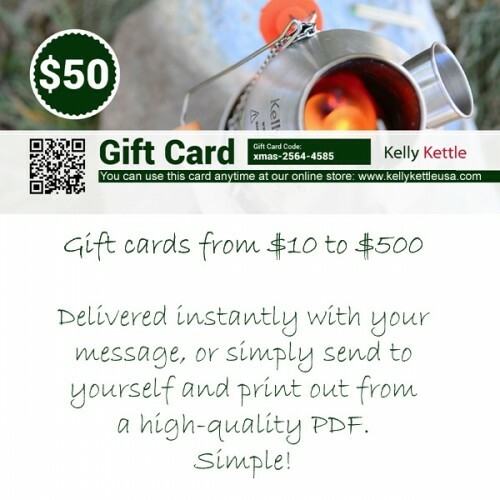 Send gift cards to any email address by clicking Send to Friend below - To send to yourself simply select your amount and checkout. 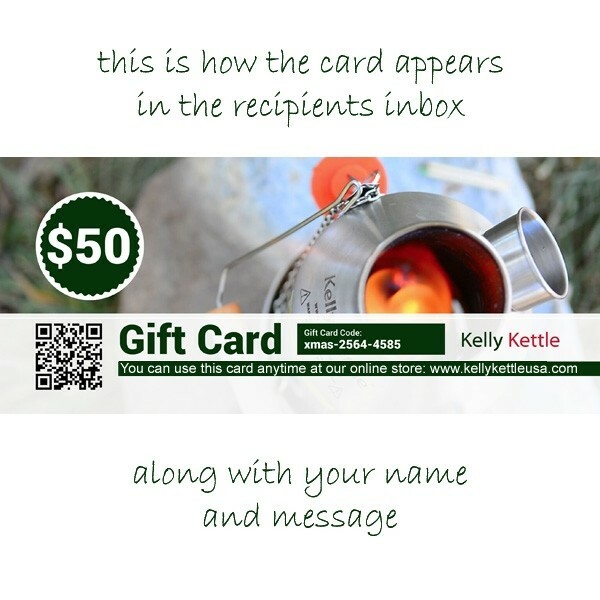 This is an electronic gift card which will come to your email address and have a code that you will be able to use on the Kelly Kettle USA site.